Shifting World 3DS available in European stores! As you probably already know Shift is one of our biggest successes, with almost 16 millions players worldwide, and we are developing and porting it from one platform to another as fast as we can offering you each time a new game experience and new content to have fun with. This time around, it’s the Nintendo 3DS we are shifting. We started developing this new edition in December 2011 in partnership with the owner of the license Armor Games and two different publishers, Rising Star Games for Europe and Aksys in the US. The game has been released in Europe last friday! And if you want to try it before buying it, a free demo version is on the Nintendo eShop on your 3DS! Don’t lose this opportunity because Shifting World will totally plunge you inside the world of Shift and this time in full-on 3D!! And that’s not a gimmick either, it truly affects gameplay here. 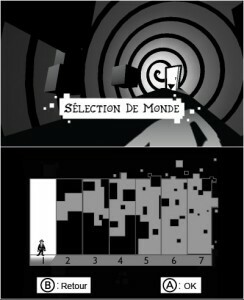 You will have to constantly switch between 3D and 2D views to find your way through 60 levels and 5 worlds. In the demo version you will have access to one level and you won’t be able to play the Time Attack Mode, the option that allows you to play the game against the clock, but you’ll basically get just about enough to fall in love with the game! 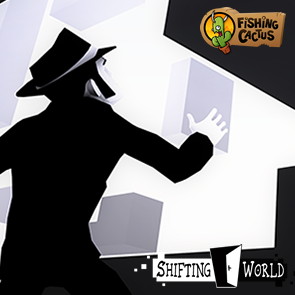 Flip your 3DS open and download the Shifting World demo right now! 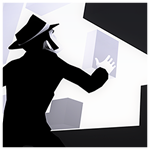 More than 20 million players have enjoyed the Shift series of puzzle platformers on Flash, iPhone and Android. 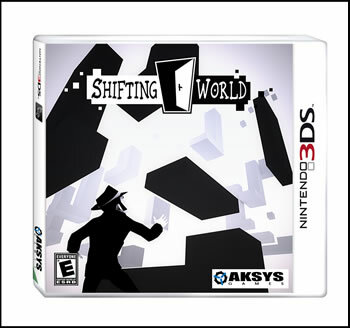 Tomorrow Fishing Cactus, Armor Games and Aksys Games are proud to see the Nintendo 3DS version of Shift, called Shifting World, hit the retail market. You’ll find the game on the shelves in the US tomorrow (04-24), on the 26th in Japan (named Shifting World: “Shiro to Kuro no Meikyuu”! so cool!) (by Arc System Works) and finally in Europe around June? What are you waiting for? Go grab it! More than 20 million players have enjoyed the Shift series of puzzle platformers on Flash, iPhone and Android. Today Fishing Cactus, Armor Games and Aksys Games are proud to announce once again a new venture in the Shift series with a brand new version which will be available for the Nintendo’s 3D handheld. The title? Shifting World! 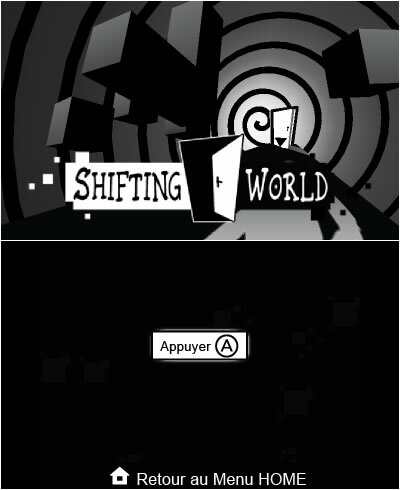 For those who missed that piece of unique gameplay, Shift is a simple platforming game turned inside-out with the addition of a shift function that allows the player to flip between the black and white portions of the game map, forcing them to warp their perceptions to proceed. It’s pretty much perfect as it is. Working for more than 2 years on the Shift series, we thought we can make this game even more perfect with a specific take on the Nintendo 3DS. 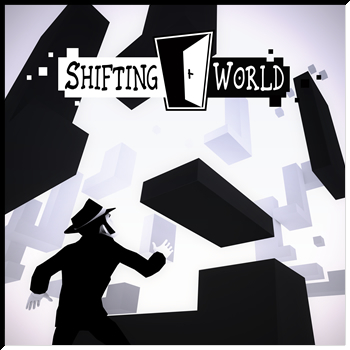 Shifting World takes the shifting element from the original game (rotators, keys, doors, spikes) and adds an additional layer of complexity (and new mechanics) by allowing players to shift between 2D and 3D. As far as the changes made, the story has also been revisted and will introduce new twists in a brand new funky universe! 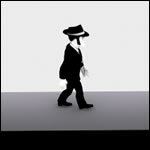 Game is planned to hit the stores early Q2 2012. Stay tuned for more and in the meantime enjoy the screenshots!